« NexGen Design Lab: African Print Fashion Now! 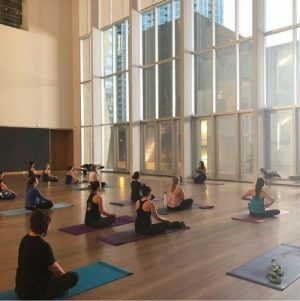 Participate in a one-hour yoga class with NC Yoga Bar and then explore the Mint’s galleries* every week during Free Wednesday Evenings. Mint members enjoy yoga for free. Namaste! *Please note that water bottles cannot be brought into the galleries. Buy a yoga class passport here: https://www.ncyogabar.com/. You can also drop in for just $10/class.